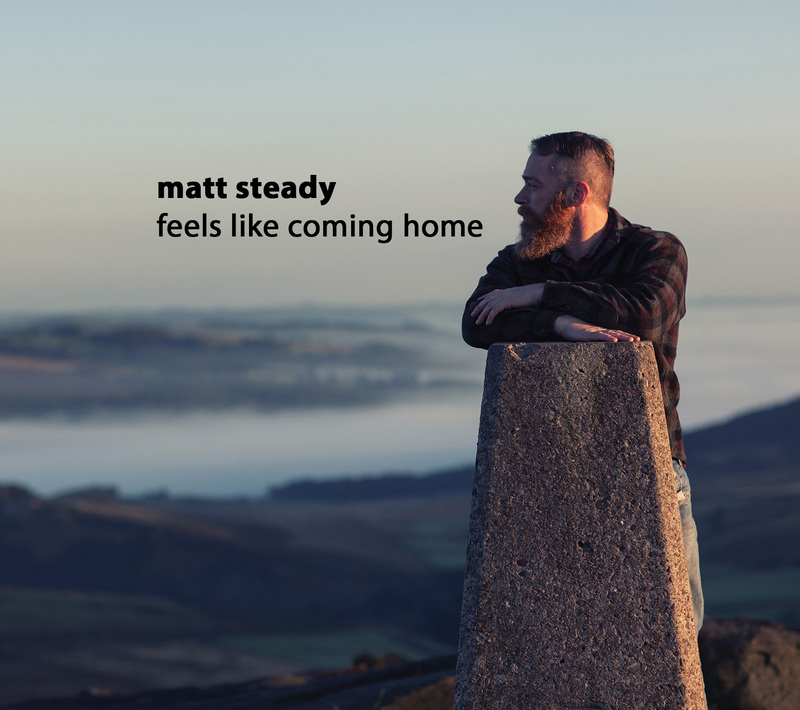 Home Spotlight Interview with Matt Steady, an independent musician. DB: If we cast your mind back to when you were a kid and a teenager: what are your earliest musical memories? MS: My parents brought me up on classical music and I remember playing piano and violin from a very early age. I started learning them when I was in primary school. We came back from Africa when I was six and I think it was shortly after that I started learning violin, and piano a little later perhaps, so possibly about seven or eight. And then of course you get into all the choirs and orchestras at school. My earliest memories really are two things. One is my Dad used to play a lot of classical music – he was a very good pianist actually – one of our favourites was Mahler’s Resurrection Symphony. It is full of timpani and big brass and it is very dramatic, and we used to love that as kids. He also used to listen to a bit of black gospel music – Andraé Crouch and people like that – and a little bit of jazz. We would have Louis Armstrong on a cassette in the car – we used to love Louis and would try to sing along with him. I am very grateful being brought up with the violin and the piano. I do not play a lot of classical now, I have kind of moved over to the dark side, going more bluesy, folksy, rocky, all that kind of stuff, but you learn very good foundations with classical music and it does come through. I still love the music but I do not generally have the time to sit down and listen to a whole symphony. These days, people’s attention spans are down from an hour to three minutes. DB: Yes, because you tend to think that if a song goes on for five minutes or six minutes that it is really, really long. MS: Yes, it is funny. On the new album I have got one track that is nine – well it was nine minutes, I have cut it slightly down, I think it is about seven-and-a-half now – and to me it was just that is how it flowed and it just works. I am not really particularly aiming at radio play – that is not really where my music is going I think – so it does not concern me at all. But thinking back to when we were kids, you would sit there and listen to a whole symphony. You would listen to records all the way through and you would sit there and watch it go round and listen to the music, and where the songs were, did not really matter. It was the album that was the piece not the song. You just listened to it through; so it was more of a whole. DB: Because artists knew that people were starting at the beginning and going through to the end. MS: Yes, and I think that was a really good thing. Whereas these days people have to try and write a song that grabs you within the first five seconds so that people do not skip it, and it has to have vocals within the first five to ten seconds otherwise people get bored and skip it, and it has to sound quite like all the other music that is on the radio otherwise it sounds too different and they skip it – and it is such a shame. There is so much more you can do with music than just make something that people will not skip. So I guess I hark back to those days. I do take a little bit of that into account. For instance: on my first album I put “The Roamer” on as the first track just because it had a really punchy intro and I just thought that would be a great start to an album. But I do not really think about my music: ‘How is someone going to listen to this and is it going to be too long for them or is it going to be too complicated?’ You just make what you make. It is what is in you and comes out when you are writing. There are enough people out there in the world, that enough of them will like it; you have just got to find them, that is the tricky bit. DB: So you started learning to play various instruments when you were a child. When did you actually start making your own music, as distinct from stuff you were learning or made or written by other people and you just performing it? MS: It will be about 2015, so that will be when I was about 39, which is really, really late. Do you know what? I always had this thing in my head: I was a scientist, I did maths, I did physics and that meant I was not creative. Someone has obviously told me somewhere over the years that I am not creative and that I am really good at maths etc., and somehow I have taken that on board and run with it. Looking back it is crazy! And I have always thought that I could play music because it can be quite mathematical – you press your fingers in a certain order and sequence and it can be quite technical. I always thought that was what I did, and that I did not have that kind of ‘creative spark’ to make my own. I guess a couple of times over the years I might have considered perhaps trying to write a song and then after a few words gave up with a kind of horror when I looked at what I produced. It actually came about because I had a friend at work who goes by the name of ‘Morocco Dave’- he does EDM music (he is very, very good actually). He showed me how he was doing recordings on his computer and it blew me away because I did not realise you could do this kind of stuff, certainly not for almost no money. I bought an interface so I could plug my guitar into the computer and started recording and very quickly discovered that I liked writing my own stuff. Along with that I plucked up the courage to write some words – and when I say ‘plucked up the courage’ I do not mean for anyone else to hear but for myself to listen to. For me it was quite a brave thing to do to even consider writing a song – which again, is crazy! It does make you wonder how many people out there are like me and get told something about themselves and they just plot it on their lives and run with it, and actually perhaps things could have turned out differently. But I am certainly glad that I have done it; the past couple of years have been absolutely fantastic! I find it very fulfilling and I am certainly a much happier person now that I can express myself musically with my own songs; it really does open you up I think. I honestly think that if you get good at something – whether it is a sport or English or an instrument – you can get good at something else. And you get good at something else because you have worked out that process of how to do it. It is not so much what you are doing – it is the process of learning that you have learnt. DB: You have mentioned that your dad was a good pianist. Was anyone else musical in your family or that you knew of outside your family? MS: Well I was brought up in church, in the Salvation Army and that was when we were in Rhodesia (Zimbabwe). My parents were missionaries over there and they worked for the Salvation Army (my dad was an accountant for them) so all around me were brass bands and singing. I have never learned a brass instrument funnily enough…I wonder why? Looking back, almost everyone who is brought up in the Salvation Army learns a brass instrument but I never tried them. But the singing of course: you are always singing hymns or songs and you are surrounded by musicality even if you are not being taught it. I think if you are brought up in church you have got a big head start in terms of singing and just knowing what music is, because it is all around you. MS: Do you know what? I do know what it is! In fact there are two. We came back from Africa when I was six and we did not have a TV, and actually that is a huge amount of popular knowledge and culture that you miss out on a) from not being in the country for a few years and b) because you are not being inundated with it every day in your eyes and ears. So I did not really know any of the popular music going around, and I was not in a group of popular kids at school either, so popular music was not really my thing at all. But when I went to secondary school I made a couple of friends who were really into blues so I got into blues that way. We used to listen to Eric Clapton, Stevie Ray Vaughan, B.B. King, Jeff Healey, lots of rock, Marillion, all sorts of things. All of this was on cassettes, all ripped off from places because obviously we had no money, we had no records, we had nothing but as kids we would share these cassettes around like gold – they would be just so precious to us. A bit of an aside but people talk about Spotify streaming and piracy and all that and it is not really any different to when I was a kid and we were copying cassettes. I went to a Show of Hands’ concert (a fantastic English folk band) a few years back and one of them said, ‘We’ve got our albums at the back, please buy them and then, when you’ve got them, copy it and give it to all your friends.’ I thought, ‘What?’ And he said, ‘Yeah, all we want to do is to get our music out there and people actually listening to it and loving the music. And if people want to buy it because they love it so much, then they’ll buy it. Just get it out there!’ And that is what we did as kids. There was no way that we were all going to go and buy ten CDs of an artist but we would copy the cassettes and we would sing along with them and try to pick them out on a guitar. That sticks with you for life and years later you end up buying more albums. The first one I bought from a shop I am pretty sure was Gary Moore and I could not afford a full CD. I started buying CD singles because they were quite a lot cheaper and I bought a Gary Moore one called “Too Tired” which was absolutely fantastic, amazing tune, and it had a live version on the ‘back’. Well I went home and I played this really loud in the front room and my parents were listening to it. My dad is quite eclectic and he loved it; he loved it because I loved it. Then the second track played, which was the live version, and unfortunately (Mr. Gary Moore I’m ashamed of you!) he drops the F-bomb in it! I did not even hear it, I must admit, I was just hearing the song and I just suddenly noticed that both my parents’ faces had completely dropped and they just looked horrified. I was thinking, ‘What’s going on?’ and it took me about three hours to realise what had happened because I played it back and then I heard it and I thought ‘Oh, that’s what happened!’ It was not the most successful first purchase! DB: Which musicians do you particularly admire and which do you think influence your music? MS: The Beatles certainly because they were the first band I listened to and I listened to them ravenously; they were all I listened to for quite a long time really. I do not know how much influence there is on my music but it is certainly a thing that transformed my thinking from classical music to opening up possibilities. But then Dire Straits was the next big thing for me; I got into a big Dire Straits stage and that has stuck really. I mean Mark Knopfler’s guitaring is just superb. A lot of the guitarists I love, whilst they are technically very good, it is not the technique or how many notes they play that really gets me, it is the sensitivity with which they play. And Knopfler’s sensitivity and the tone he gets and just the feeling and the way he is not quite on the beat but it just works; he is one of my very favourite guitarists. Pink Floyd, Gilmore, again a completely different sound and way of playing but it is still quite bluesy actually, so there are similarities – he is a big influence. I went through a kind of rock phase and went through various rock guitarists and even all the way to Steve Vai. There are a lot of technical guitarists that you can appreciate but they do not really get my soul like some guitarists do, because they are just too technical and there is not enough…feeling…in there, perhaps? On occasions though Steve Vai really does – the “Passion of Warfare” album is just genius – and whilst he plays a million notes-an-hour in places, there is a lot of soul in there too and that is good. It has influenced my sound but I cannot play all the notes, I have got to admit. I cannot play Jimi Hendrix either, I am going to pretend that it is because he was left-handed so the notes just do not fall under my fingers right! I am sure with a lot of practise I could probably get there but some guitarists, their sound fits my fingers, and falls into place and feels natural and other guitarists not so much. Over the last few years I have been listening to quite a lot of folk, which was a new thing for me: Show of Hands, Seth Lakeman. There are quite a lot of country musicians that I have been listening to which I am really enjoying: Dylan, Springsteen (of course) fantastic. Gretchen Peters is one of my very favourites. Jeff Black, again a small singer-songwriter from America really but sometimes people’s lyrics just hit home time and time again and mean something when you listen to them, and that sticks with you for the rest of your life and those songs become almost a part of who you are. Songs are really special! Because if you are watching a series on TV you might think, ‘Cor, that was really good,’ and occasionally you might watch something twice. But music, every note can stick with you, you can know a tune backwards. It is a very special kind of art I think. DB: So thinking of other artists that you admire, do you have any stand out favourite tracks? MS: Gosh I do not even know how I would start on that. There are some that do spring to mind: “Brothers in Arms” Dire Straits, that to me is the epitome of soul and feeling in a guitar, the sheer sensitivity of that guitar in that is just fantastic! There is nothing particularly clever about what he does in it, it is the way he plays it. Another band that is very dear to me is called Iona – they are a Celtic band, an English Celtic band – and I followed them round and went to their gigs for years and years when I was a teenager. They kind of play Irish(ish) Celtic music. It is almost prog rock with Celtic influences I guess, because there are the guitars and drums and whatever but there are also the uilleann pipes which I have started learning as a result. Some of their songs are very, very special to me. They are fantastic and they have influenced my music 100%. Any of my music which has pipes and fiddles and synths etc. that is pretty much where all that has come from. DB: What is the best live gig by another musician or band that you have ever been to? MS: I have been to a lot of really good gigs and do you know what? I prefer the small ones. I have been to stadium gigs and they can be very good and very exciting, but you do not have that connection with the artist. I prefer it when you get a good band in a small room, or even just an acoustic artist in a small room. They can see you, you can see the whites of their eyes; they are actually singing to you. I did once see Iona in a pub, before they got a bit big and started doing big concerts, and there were probably only twenty of us listening and that was incredible! They had a guy called Nick Beggs on bass with them at the time (he is a fantastic bass player, he played for Katchagoogoo at one point) and he was there with his Chapman Stick. A Chapman stick is like a bass guitar and you play it vertically like a double bass, you strap it to yourself, but it has got 10 or 12 strings on it- half of them are bass strings and the other half are treble strings – so you use one hand to hammer on the bass strings and the other hand is on the harmonies and melodies on the top. It is just one of those instruments that mere mortals can only dream of playing! But to see this guy play that, the bass lines and stuff he was coming up with and then tapping over the top…I have never seen anything like it! He is a bit of a show off (I do not think he would mind me saying that) so he had great long hair and he had a white shirt with massive, flowing cuffs and collar, and in a way it almost turned into the Nick Beggs’ Show rather than Iona but it was wonderful. My very favourite artist to see live is a singer-songwriter from Wales called Martyn Joseph. He just stands up there with a guitar and a mike- and there is nothing complicated about any of the stuff he does – but he plays small venues and it sounds like he is singing just to you. The songs are so powerful! In one of the concerts – I would not even call it a concert, it was almost like being in a living room – he did last year, he said something really quite amazing. He said something like, ‘I’ve written a whole load of songs over the years and I’ve come to realise that the only ones I’m interested in writing now are ones about hope.’ To me that really struck home because I love melancholic music. It does not need to be sad but I like minor key music; I find the music and the lyrics and the whole feel of it touches my emotions more. It does not mean it makes you sad – melancholic music can build you up and lift you up, but to me it is more emotional. Happy music does not really do much for me, I must admit. When he said that, I suddenly realised, yes, you can make that kind of music with that feeling but you can use it to build up and lift up and affect people. That is what I have always realised about his concerts, you go and see him and he just puts something in you that when you come out of that gig, you come out of there thinking, ‘I can be a better person. I can make a difference.’ There are very few people who can do that. It is very, very powerful. If you can ever get a chance to see Martyn Joseph at a gig…go for it! DB: Are there any other musicians that you would love to see live, that you have not yet seen? MS: Yes, there are a few. I would like to see Pink Floyd and I would like to see Mark Knopfler. They have been on my bucket list and I guess one day I will manage it. I would like to see Springsteen as well. I would also like to see Jeff Black; he has definitely been an inspirational artist for me. Again, he just plays with his acoustic guitar, live and the strength of his songs come out and the lyrics are just brilliant. As far as I know he might have come to England ages and ages ago, but he does not come to England to do gigs. He has been an absolute inspiration, not just for his music but in terms of being a kind of small singer-songwriter. He had a money-raising thing for his fans called The Blacklist and basically you would send him some money and he would use that to make the album and then he would send you a signed copy and whatever afterwards, so it was just a way of supporting himself. I thought that was a great idea, ‘I love his music let’s do that I’d love to support him.’ So I think I sent him about £25 at the time and he sent me a thank you note and I thought, ‘Oh that’s really nice.’ Then through the post I got the album and he sent me a couple of his other albums and a T-shirt and a load of picks [plectrums] and I just thought, ‘You haven’t made any money on that Jeff, have you. You probably lost money on that because you sent it all the way from America as well.’ There was a nice hand-written note in there and I thought, ‘If I ever become a musician, that’s the kind of person I want to be. I want to be someone who appreciates the people who listen to the music.’ I find that very inspiring. A few years later, I am finding that I am making music and that is the kind of thing I can look back on and think, ‘Right. That’s what I’m going to do.’ You value the people who listen to your music, they are not nameless faces in a crowd, they are all real people. That is the wonderful thing about the age that we live in: you can reach people across the world with your music. Not only can they get to listen to your music but you can get to find out about them. That was never the case twenty, thirty years ago: people used to release records and there would be advertising campaigns and if they were lucky lots of people listened to it, but they did not have the other way round, where the musician actually talked to the listeners and worked out what they enjoyed, what the issues were that were affecting them and have that coming back in as feedback into the music – so it was all very one way. I think that there is a big opportunity now for musicians to have an interesting cycle, where you are writing music based almost on the responses from people and from the stories you hear when you are talking to people. So it is almost like a two-way collaboration, it is not just you making music and then sending it out. DB: Are there particular genres and eras of music that you gravitate towards and do they have an influence on your music? Or some that you like but you do not really feel influence your music at all? MS: That is interesting. I think, if you had asked me six months ago it would have been a different answer. Because I learnt guitar copying Clapton, listening to Cream and Pink Floyd, I have got a lot of rock roots in there as well really, and certainly on the first album there was no rock in sight. The second album there is some: the cover of “While My Guitar Gently Weeps” is quite rocky and I think this is a kind of ‘growing thing’ for me. When I started recording, I would record some guitar and some vocals and that was the basis for the song and then I would think, ‘Oh I could put a little bit of guitar solo on the top, I could get my friend to put some drums on there. What about a bit of organ?’ And it was that kind of thing and that is not where rock comes from. Rock is: ‘This is us. This is the sound. These are the instruments. Bang! Here we go!’ To go from being a singer-songwriter into releasing rock tracks, that is a kind of big jump in thinking, as opposed to technique or musicianship; it is more about the approach I think. On this next album coming up, Theory of Ruins, I have got some very rocky tracks and I really enjoyed that. 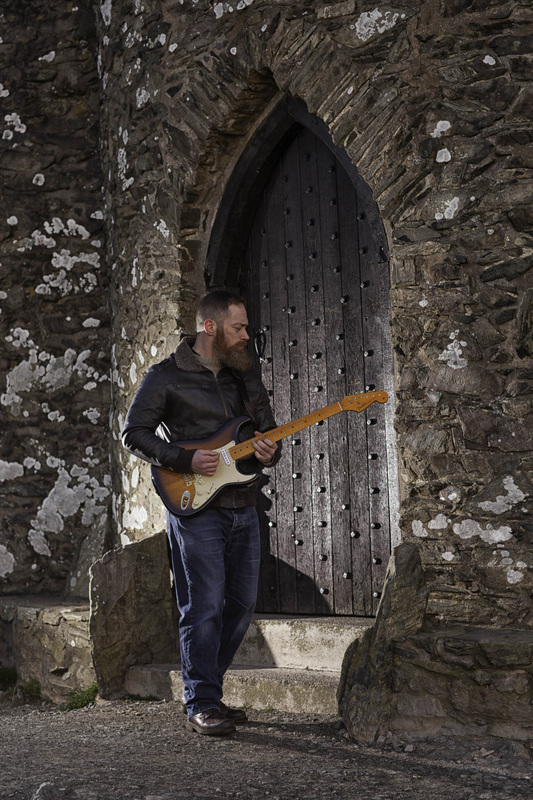 For me, in a way, it is almost like going back in time to what I was playing when I was a teenager and just learning guitar; when I first learnt it was all rock and lots of guitar solos and all that kind of stuff. I think over the years I listened to a bit more country, I listened to a bit more folk. As you grow up you take some of the notes out and you leave more space and I think that is a really good thing but in a way, with this album, I have got some tracks on there where I have just gone back to basics and said, ‘Right, I’m just going to rock it now.’ It is not something I have done before for recording and that has been great fun. MS: Absolutely. I started off learning classical violin and piano. I did my grade 8 on violin and so that is quite a high standard in classical and I did my grade 7 on piano. In fact that is a funny…well when I say ‘funny’ I mean a horrendous story actually…I did my grade 7 on piano and started learning some of the grade 8 pieces and in the end my piano teacher sat me down and said, ‘I don’t think you can do your grade 8.’ And I asked, ‘Why’s that?’ He said, ‘You’re clever and you can play everything but you’re not really a musician. You’re getting away with it because you’re clever but you haven’t got that thing that means you can take it to the next level and do the grade 8.’ That is not a good thing to hear. You do not want to hear that, do you? So I did not do my grade 8 on piano but I did it on my violin! It was one of those things where you think, ‘I’d love to go in and just rub that certificate into his face.’ But you do not need to do that, it is about you at the end of the day, your learning. When I was about 12-13 I picked up a guitar – and that would be because of Clapton. I got a very cheap acoustic guitar off somebody in church. I remember he had offered it to me and I went to my dad and said, ‘Look he’s offering me this.’ He said, ‘Ah that’s really good.’ I replied, ‘Yeah I’m going to save up and buy it.’ My granddad was there and said, ‘I’ll buy that for you.’ He bought that guitar for me and I played that for I do not know how long; so I do not know if he knows quite what an effect he had on me really. In the end I swapped it for an electric guitar so I could play more Clapton and stuff like that. Obviously I play acoustic guitar, electric guitar, I learned to play bass because I wanted to put it on my recordings. As an electric guitarist you can end up noodling on bass and it sounds like you are playing electric guitar but on a deeper instrument and it is not good at all. Over the last couple of years I have got past that and now I love playing bass actually; I have got a fretless which to me feels a lot more natural than a fretted bass and I think that is the violin thing coming out. I think that is the bit that broke the connection with the ‘this is not an electric guitar’. In terms of keyboards: I do play keyboards. I can play piano. I can sight-read and if someone gave me a piece of music to learn I could certainly learn it and it would come out competently but in terms of writing stuff on the piano I would not say I was particularly good at it anymore. I have never really put any time into that. I have always just learnt straight off the sheet music with the classical upbringing. That really is a problem with classical music. I cannot tell you how many years I did classical music for, but it must be at least ten years on each of those instruments, and never once did anyone get me to improvise, or write my own stuff, or play something in a different style, or do some jazz, or do some blues. You ended up playing pieces that you had to learn for exams or for concerts and there was just no freedom on there at all. That was what I so loved about picking a guitar up; I could play whatever the heck I liked. Wonderful! I have also got some resonator guitars (but they’re still guitars really). I have got a banjo (I am not very good on that yet but one day…) a slide guitar. I have got a lap steel that someone lent me the last few months and I have put that on the album – that is really good fun. 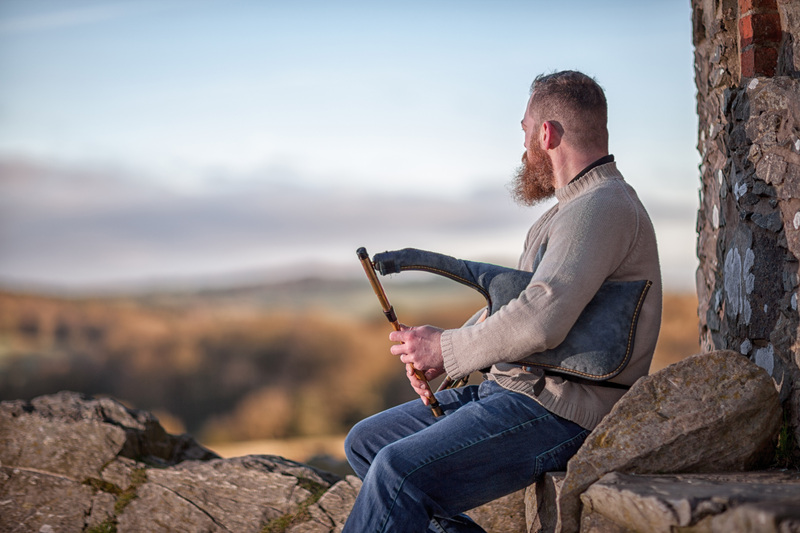 I have got my uilleann pipes – the Irish bagpipes – completely and utterly inspired by Iona (that band I was telling you about). I have been playing them for a few years now and then they are evil. I have to say I have never done anything like it…most instruments you get there on a Monday and you pick them up and play and then you go the next day and you think, ‘I’ll have a go.’ You pick it up and it is exactly the same: it is the same instrument, it sounds the same, you press the keys in the same order it will sound just the same but no, not with the pipes! You pick it up the next day, it just does not want to play! If the temperature of the room is different, if you are holding it slightly differently, if the humidity has changed…if the wind has changed direction or the lay lines have done something…it just does not play the same and it is different every time you pick it up! Some days you pick it up and think, ‘I can’t…it’s just not happening,’ and you put it back down again and other days you have actually learned to play sensitively with the bag and the chanter so that you can adjust for all the different atmospheric conditions and things like that, but is very, very difficult. I do find them difficult but I so love it, it is so different from any of my other instruments. I like the Scottish bagpipes too but to me it is like cricket and football. Scottish bagpipes are brilliant fun but they are just full bore, there is one octave, and you know what you are going to get with them. But the Irish ones seem to have a lot more sensitivity and they have got a bigger range – a couple of octaves range as opposed to one – and to me the sound is just much more sophisticated. I think it is a beautiful sound. I do not know anyone else who plays them. With a guitar, if you have any guitar problems, you can talk to people down your road who play guitar and you can see if they know how to get round what you are feeling. With the pipes there is no one. I do not know anyone within a hundred miles who plays these things (and believe me I have looked). I had a few Skype lessons with a guy from Ireland and there are things on the internet – again amazing times we live in where we can have an instrument like this and you can just go on YouTube and you can find out information about how to play it! I have got a mandolin. DB: Oh my uncle used to play a mandolin. It is quite a rare instrument really isn’t it. MS: Yeah, there are not that many people who play them. I have also got a cigar box guitar. It is literally a cigar box with a piece of wood stuck on the end, a pick up and some strings. It is very rustic, hand-made and has no frets because it is a slide guitar but it has got fret positions on the fretboard and they are just marked on with a felt tip. The other instrument, apart from voice of course, is the computer. Actually there are quite a few different parts of the tracks that I record that have not got anywhere near an analogue instrument. So if you hear a piano sound on there it will be on a keyboard that I plugged in to the computer. There is a whole load of synth stuff that has never gone outside of the computer at all but I like to do it, where I can, on an instrument. I like to play it live on a keyboard and plug it in and record it and yes, I will have to tweak it because I will not get it right first time. Whereas I could do the same line with my mouse and keyboard and almost punch it in MIDI, but I do prefer to have that slightly fuzzy, human, natural analogue thing of me actually playing some keys at some point, if I can. I put time aside to practise my vocals: I have to do that otherwise they go to pot. I put time aside to practise my pipes because I find I go backwards very quickly if I do not practise. The other instruments I do not really practise, I have to confess; I pull them out and I play them when I need to play them. I will practise a set for a gig, but I am not actually practising the instrument itself. I will record with them and I use them but for my guitars and violins I do not have to sit there playing scales every day. I have not really got time in all honesty. It would be quite nice, in a way, but they get plenty of use during the week and I think that is enough. I know there are some techniques that I cannot do on my guitar, and other bits where I know I can improve but at the moment it is just balancing up what you can do with your time. You have got to balance enjoying yourself, getting better at stuff, and doing the ‘job part’ of being a musician as well. DB: Can you briefly describe the process you go through when you are writing a song? What inspires you to write? MS: Can I give you two answers? On the first two albums, I wrote and recorded at the same time. So I would knock together some kind of little riff on my guitar and then I would record it, put it on my computer, put some drums on the background and then you have got something you can start putting some vocals over the top of. Then I would think, ‘What am I going to write about?’ I would try to get some vocals together and then as you do that it evokes different…you think, ‘Oh okay, because I’m starting to think about this maybe I want some almost country guitar on there because it’ll fit the lyrics.’ And you put that on and then you find another sound and you think, ‘Oh, if I’ve got that…’ The sound inspires the lyrics sometimes rather than the other way round. That is how I did the first two albums really. I did not really separate the songwriting from recording. The sounds that I was recording influenced the songs and the songs influenced the sounds; it was one of those feedback mechanisms which are very useful. I try to write lyrics that are not black and white; that you cannot tell exactly what they mean. What that means is: when people listen to them, they can take those lyrics and apply them to their situation. Not all of my songs are like this, some of them are black and white, but quite a lot of them are and you interpret based on the lens you are looking through and it makes them feel very pointed towards you, very relevant and they can be really helpful. I have got a few songs on the new album that have come directly from conversations with people and are about people and situations I have come across and that are really powerful to me. They are things I would never have thought about, things that I would never have written about and again it is an example of that feedback mechanism where it is not just a person making music and then distributing it, it is that two-way process where the feedback from the people who are listening to it then goes into the next situation of the music; so it becomes almost a partnership with your listeners. The nice thing that has come out of this is: I have got a set of songs that I can play acoustically at gigs and I can play rock versions or Celtic versions or whatever on the album. Whereas before I would write the songs and I would think, ‘How on earth am I going to play that live?’ Because I do not play to backing. So it has been helpful from that point of view as well. DB: It is interesting because basically you have had a complete change in your process but what you are doing now gives it a cohesiveness that it did not have before. 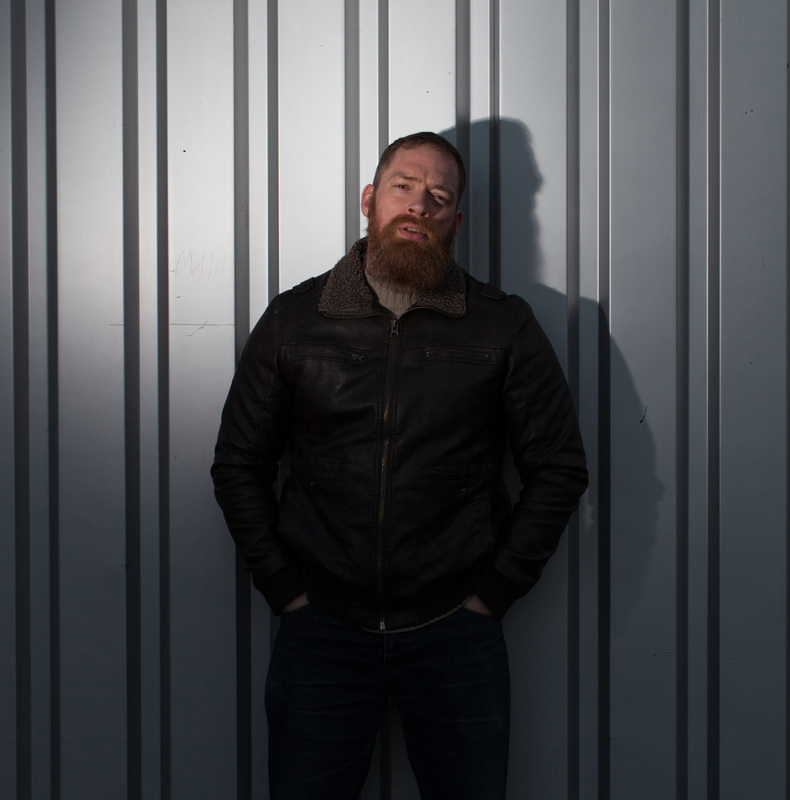 MS: Running through my head, as I have been writing this album, I have had that thing from that Martyn Joseph concert which is that the songs have to have hope in them. I do not want to have a miserable album with miserable songs. I want an album which – whilst it may tug at your heart strings – these songs should have a glimmer of hope and something good that you can hang on to. I have definitely tried to put that in, whether or not that has been very successful, I do not know, we shall see. I am hoping so. DB: On your first two albums you had a number of tracks that were purely instrumental, like “Romulus and Remus” as one example, so have you got any of those in your new one that is coming out? Or is there a different process when you do pure instrumental when you have not got to worry about spoken or sung lyrics? As with all those songs I played it live on Facebook, in the evening. Each evening, if I had written a song, I would go and play it live, generally mess up, do a few bum notes, start again, because it is so early in the songwriting process, you do not really know your own songs at that point; but it was a way of getting the songs out there and making them real things, introducing them to people, getting feedback on them. That was very helpful for me for driving my creativity. If you are sat there, and you think, ‘I have got to do a video this evening and I need to report back on what I’ve done,’ suddenly you become a lot more creative! Who knew creativity could be, not ‘forced’ but could be, ‘called upon’ when you need it. It is not one of these muses that flies and just lands on your shoulders once in a while or every few years and then…no…if you actually work at it and you put the time in, it comes. Back to the pipes and instrumentals…I have got two on there: one about “Old John” which is a pipes tune and then, when I did start recording it a couple of months later, I put fiddle on it as well and some guitars and that is one of the most exciting tracks on the album, I think – it is kind of Celtic but it is a little bit rocky as well – it is just a really ‘feel good’ tune and I think it may possibly be the one and only happy songs I have ever written! I did another song and this is quite an interesting one: I made a synth sound and thought, ‘This sounds really good,’ and I put a click on it in my ear in headphones, set up a mike, got my violin out, put that synth on in the background and then I just improvised and I just played for five minutes or so and recorded it. I thought, ‘Well, there might be something in there that I can use.’ I listened back and I thought, ‘Do you know what? I’m not changing any of it! That full five minutes is going on a track. It sounds great!’ I cannot explain that. I just made it up as I went along, thinking, ‘Well I’m never going to use it. It’s just going to give me some ideas to work on’ …and it works as a cohesive tune! I do not really understand where that came from, maybe that was where the muse owl just landed on my shoulders and did something magical. I put some background to it, put some little drums on and things like that, but on the whole it is just that one take from that one improvisation that is just on there. Then I brought back that tune from “Old John”, the pipes tune, and did a reprise at the end; but because it is a minor key, rather than a major key I had to change the tune slightly, so it sounds similar but not quite the same. DB: Previously when you did it, because they are instrumentals and you didn’t have to worry about the lyrics, did you do something similar with those from your other albums? MS: Well “Romulus and Remus” that you mentioned, is an interesting example because I actually wrote that as a background to a poem. One of my friends, Caz Grayson, is a poet and she had written a poem about Romulus and Remus. She sent it to me and I thought, ‘Do you know what? I could put some music to this I think,’ because I found it quite inspiring. While Romulus and Remus is about Rome, I have no idea of what Roman music would sound like actually. I went on a bit of a digression and thought, ‘Romans invaded Celtic Britain. Let’s do a Celtic track.’ You will actually hear some kind of soldiers’ footsteps in the song, if you listen carefully. There is a version up on SoundCloud with me reading the poem on top of it. Interestingly enough Caz, who wrote that poem, sent me one of her poems about the Seven Wonders of the World in January and I looked at that and thought, ‘That should be a song.’ So I butchered it a bit and put a chorus on to pull it together as a song and that is one of my favourite tracks on the upcoming album. It is called “The Simplest Test” and is basically about God looking back across the ages, looking across the Seven Wonders of the World and what He is seeing and it is really quite something – I can say that because I did not write it! To me, with the chorus that is put on…it gives me shivers. It is one of those kind of lyrics. Of course the only thing is, because there are Seven Wonders of the World and not Three Wonders of the World, it has got seven verses! Rather than trying to squeeze it into a five-minute song and bash it out really quickly, I went the opposite way and thought, ‘Right. What would Dire Straits do?’ I was thinking “Telegraph Road” and all that kind of thing, so we have got keyboards coming in, then there is a build-up of some guitars, then some drums, vocals. There are long spaces between the verses for the instrumentation to come through and it builds up and then calms down again. It has turned into an epic track and I admit that there is a bit of Mark Knopfler in there. DB: We have touched on what you do on your Facebook page, when you post your work-in-progress and as you have said that helps discipline you and makes you do it but when you first started doing it, what motivated you to do it and what did you hope other people might get out of it? MS: Several things really. 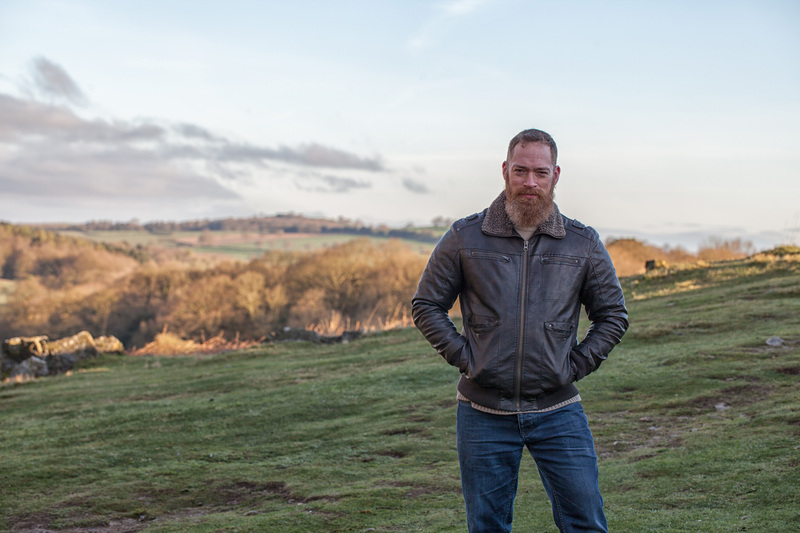 One is, as an independent musician, I have no budget for marketing- I just do not have the money to do a big radio campaign or TV – so my marketing is very word-of-mouth and actually talking to everybody; everybody that knows my music I have pretty much actually sat down with and chatted to. I do not have vast legions of people who I do not know that follow my music. 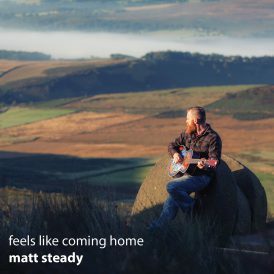 On the crowd-funding campaign for ‘Feels Like Coming Home’ last year, I knew all but one of the people who contributed, and I knew them well from talking to them. And that’s just how it works these days with small independent musicians, that’s how you do your marketing. It takes a lot of time but it does not feel like marketing – it feels like you are making friends. I know a lot of musicians and there is a big contingent of people who will write their music, record it and then basically have done no marketing and then think people are going to buy it. And they do not! That is very disappointing to them but there is so much music out there why would people buy it? They are not even going to know it is there. And the other half of people think, ‘Well I can bang out a song and I can do open mic nights – but just listen to these albums or what’s on the radio! It’s a different league.’ It just is not! Anybody can do this stuff if they put the time in to learn the techniques and actually follow the steps. You do not need to have some kind of ‘magic’ about you to do this. To me it was really important to try to put that across. I try to market; I use the term ‘market’ but what I really try to do is to share who I am and what I do. I think being ‘real’ and sharing yourself, people can understand where you are coming from and how you are making these things and the end product can be really fantastic. So I am hoping it will inspire a few more people to really put some effort in and come up with some incredible bits of music as well. DB: I think it is also partly a sign of our times in that everything is so product and image perfection related that people look at things and do think that it is unattainable, not realising that it is not the end product that is important anyway, that very often it is the process you go through that is the important bit. MS: That is absolutely right. Music is freely available everywhere you look, it is almost, as a commodity, worthless – unless you are Adele or someone like that. The actual piece of music, the actual CD itself, the actual download, you can pick it up for free wherever you look but…the way the songs make you feel is priceless. For me, I learnt this from Jeff Black, if you understand the artist and you get to know them and what they are doing, that is actually in a way more important. DB: How would you describe your music for anyone who has never heard it before? MS: I would generally say that I play blues/folk/ some Celtic landscapes and perhaps a touch of country. This album: there are bits of it that are rocky and even perhaps bits of metal in there. I just love music and I have listened to so much music over the years that it all comes together in me and then I write whatever I feel like the song needs. I think a particular style is beginning to crystallise and emerge, but there is still a massive variety on there. The sound on this album is different from the other two: it is rockier, it is more ambient, it is not quite as clinical in some ways – and that is purposeful – I have tried to make it a little bit messier in a way. It is definitely all blues-based, there is definitely folk in there and at the end of the day it is all roots: Celtic, folk, blues. That is what appeals to me, that is what gets to my inner-being when I am listening to music. I can appreciate the skills in opera, rap, Hip-Hop but I cannot connect with those like I can with roots music. It does nothing to my emotions, it does not make me feel something, whereas roots music – blues, folk, all that kind of stuff to me – I can connect to it. DB: So that roots music is partly, or mostly, your musical DNA, so that is why it connects with you whereas with somebody else R&B or Rap will because that is what they connect with. MS: Absolutely. If you have been brought up listening to Rap and R&B and that is the culture you are in, the lyrics are going to mean something to you: they are going to be really important and you are going to listen to these songs and they are going to tear you apart and build you up and that is going to be your musical DNA. For me, just because I am from a different background, it is never going to mean as much to me as to people from that culture. DB: Live performance or studio work: which do you prefer and why? (If you have got a preference). MS: I like both! Live music, when you are playing and you have a good gig and you are singing… sometimes you just look round and you suddenly realise you have got every eye on you, you have got every ear on you. As you sing and as you play, you can feel each note doing things to people and that is such a powerful sensation and with that you feel very small. You would think power would make you think, ‘Wow! I’m a rock-god!’ Actually it makes you think, ‘Oh my goodness, I’m actually…I’ve got these peoples’ emotions on a bit of string.’ That’s scary! That’s really, really something. It doesn’t happen all the time: there’s a lot of gigs you do and they are just ‘fine’, people come up and say that they have enjoyed them afterwards. And then there are some where you can hear a pin drop, you have just got that ‘moment’ and that is magical. It really is. There is something very powerful about live music. There are a lot of people who have never been to a live performance, and more than that there are a lot of people who have been to live music but it has all been stadium work. You can pay £400 and go and see someone massive at the O2 and you can have a great time but in all honesty you could have put a record on. It is all so beautifully produced… a wonderful show but there is something about the intimacy, the imperfections, the never-to-be-repeated-twice versions of the songs that you get with small, live music that you just do not get in a stadium gig. And it is those things that make it different and make it real when you are listening to it. I would really encourage anyone who has never seen music in small intimate venues, search it out, go and find it! Because it is a completely different experience to going to see a stadium gig. I absolutely love recording. I love the fact that I can take my imperfect skills (I am no genius at any of my instruments) and I can record with an overview; I can pick and choose what I am recording. I can make something that is far bigger than the sum of the parts. You only need stuff that is ‘good enough’ but the vision and how you put it together, the fact that you can record things a hundred times and pick a good version; you can work on those highlights of that painting over and over until you get it just right. You can make something that is much better than you can possibly imagine with the skills that you have. One thing I want to do at some point is tour with a band. At the moment, financially I cannot do a band. Time-wise I cannot do a band. I have played in bands and I know how it works. I can play with a band but as for putting one together and playing my own material? I would dearly love to do so at some point but I cannot see it happening in the next few years. For that to happen I would need to be making a good, steady income from the music which means you can put more time into things like putting a band together. I do not want to put a band together that is going to break up in two months after doing three gigs! If I am going to do it, I am going to do it properly. I do not go half-heartedly into anything really. I only have one gear which is forward. If the time comes I will put absolutely everything I have got into that and it will be fantastic – but I cannot bring myself to do a half-hearted ‘get a couple of mates over’ and just mess about with it. DB: If you could choose any musician or band to play with as their supporting artist- because that is another way of doing a tour- who would it be? MS: I guess it depends on why I am doing it. There are people I would love to open for, just because I have got a music crush on them and I want to pay them back for the wonderful music they have given me over the years. Being on the stage before them would just mean so much to me. I would like to open for people like: Martyn Joseph, Jeff Black, Gretchen Peters. I would love to play with Show of Hands, Seth Lakeman, people like that. Then there are other people I would love to open for like Mark Knopfler or Clapton or anybody like that…can you imagine Pink Floyd? At the moment I could never imagine getting on the stage with those kinds of people but I can actually imagine opening for Show of Hands or for Martyn Joseph, that is almost achievable. I feel that my music is good, and I feel like it would fit the venues that they play in – well perhaps not when Show of Hands play at the Albert Hall – the small venues they play at, and the local venues. That is the kind of thing that I would be aiming for in the short- to medium-term, if I was going to be doing something like that. There is no point in me thinking, ‘Right I’m going to open with Pink Floyd next year.’ You cannot work towards that, there are no steps between here and there for me. DB: When you are recording, how often do you work with other people in the actual performance of the song or the instrumental? Do you call on anyone else to come in to record bits of it for you? So I hired Niklas to put drums on it. He did a magnificent job and it just lifted it and made the song even better. I have been working with him ever since. He did most of the tracks on “Blood is Thicker Than Gold”, he did all the drums that are on “Feels Like Coming Home”, except for some of the Celtic tracks where I have just used some MIDI ones and there is one track on there where I have just banged some drums as well (it was just banging in time – even I can do that!) Anything that actually needs drumming, I get Niklas to do. He is fantastic! One of the nice things about that is: although I play in lots of different styles he brings a little bit of continuity between the songs. He is a very able drummer and plays different styles but there is something about his drumming and you think, ‘Oh, that’s great! That’s Niklas.’ To me it just adds a little bit on the songs and makes them a little bit more like each other than they possibly would do; I think that is a good thing – a little bit of glue that fixes them all together. Apart from Niklas, I do try and be very self-reliant and the reason for that is mostly selfish at the end of the day and being a bit of a control-freak. If it is me, I know that I can do, what I need to do to get something in on time and get it done. I have found, in my experience, most musicians are a nightmare to work with – they are like herding cats! They love to play with you, they love to do things for you, they are so helpful, but can you actually get them to deliver something on time? It is so, so hard. And if you are a control-freak and you have got a deadline? It is scary! On “Blood Is Thicker Than Gold” I went to fiverr.com and bought a couple of gigs on there: I got someone to play flugelhorn on “Funny Old World”. 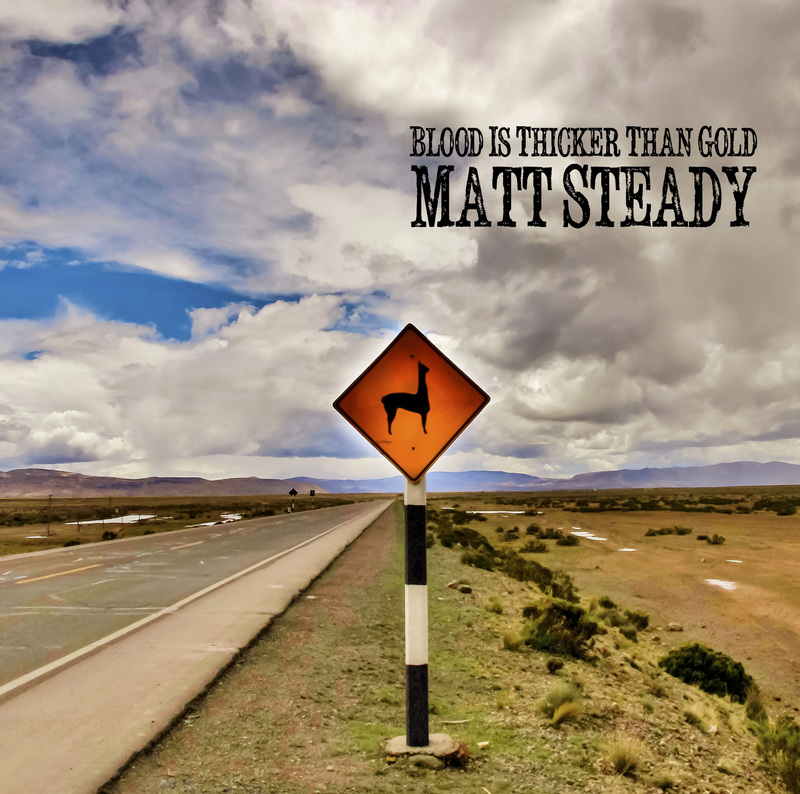 I got someone to play a wonderful bit of bluesy/jazzy piano on “Blood Is Thicker Than Gold”. I just thought, ‘Do you know what? It’s not expensive. I will upload my track and ask them to do it. They’ve got a deadline, they’ve got to do it by a certain time otherwise they aren’t going to get paid.’ And the results were stunning! My heart says, ‘You should know the musician. You should play with them. You should be able to share that experience with them and come up with something shared.’ But actually getting those in was fantastic! 99% of the time I do my own stuff. I cannot play brass, I have to get somebody in to play that and I do not know a musician that plays flugelhorn. I do not know anyone that plays really good jazz piano, so I had to get someone in to do that. I can play simple stuff. I can play what I need to play most of the time but I knew I needed an epic solo on there and I knew I was incapable of doing it so I got someone else in to do it. This album, it is pretty much all me except for Niklas’ drums. I’ve also got Micky McNulty with his bodhran – his Irish drum – on a couple of songs. On the side I actually play in a little trad Irish band called Cruel Sister, and he plays bodhran with us, so he very kindly put a couple of bits on “Old John” and the other instrumental track and they sound fab. Also this time, I found a guitarist that I had, had a brief connection with, called Dana Bradshaw, who is fabulous! He is technically way better than me, some of the stuff he does I cannot even dream about playing. I am a slightly different style, more bluesy, he is slightly more metally, rocky and I really love the way he puts his heart and soul into his solos. I sent him a message saying, ‘I don’t know if you fancy playing over this track?’ And sent him the demo of my track and he said, ‘Yes!’ He sent me some demos through of what he is going to record and it is epic! I am so glad that I reached out to him and asked him. Dana’s been fantastic but, as a musician, that is actually quite rare – for someone to actually deliver what you ask them to. Thank you very much Dana, you are a star! DB: I was thinking about a couple of the tracks that you have got, like “Passion For Pinecones”… who sang on that? Because that is not you, is it! DB: Is that her singing on Crith Gablach as well? MS: Yes, we both sing on that and she has a solo at the start. She has got an absolutely lovely voice. I am trying to encourage her to take up an instrument so that she can accompany herself. She naturally reaches out to other people a lot easier than I do; she is just a natural communicator and will have no problem finding people to play for her. DB: At the moment you are a full-time musician, I know that you have not always been but what other jobs have you had that you are willing to talk about? MS: Well, when I was in MI6… (joke). I did physics at university – physics with space science and technology (so I am a complete geek). When I left university I actually went into accounting; my dad was an auditor and an accountant for the entirety of his working life and he really enjoyed it. I thought, ‘Well I guess I’ll try that.’ I applied and got a job. We were doing 100-hour weeks! After six months I said, ‘Thank you very much,’ and jacked that in. I make very little money in CDs or downloads. I am on Spotify, Google Music, Apple Music – unless you are a CD collector you have probably got my music for free already. When I say that, the crowdfunding, the pre-orders – that does make money. But they are not paying for a CD: they are buying the process, the friendship with you, your time, your updates and the experience of making an album; the fact that they get a CD at the end of it is not really what they are doing it for. DB: It is just the icing on the cake really. MS: It is and it brings back some memories that you have as you have gone along with the creation of the album – so it is almost like a keepsake at the end of it. That first crowdfunding went really well. It made just enough that, when I put that alongside tips that I get from the singing on-line, and for production work I do for other independent musicians, mastering, mixing and session work for other musicians and a little bit of money for gig work, there is just about enough coming through that I am thinking, ‘Hmm this might actually be doable.’ And I have not had to go back to work yet and I have still got a few pounds left in the bank which means that if I do not make any money this month from the music that I am not actually going to go bankrupt. It may be that in a few months time that I do have to get a contract. I am under no illusions. This is a very hard business and I am not making a lot of money in it; it is not my main focus, making the money, so I have to try very hard to do the business side of things. Really I just love the music. I have just launched the crowdfunding for “The Theory of Ruins” and this is going to be the acid-test really. My following has grown substantially since the last album. If that translates into a bigger crowdfunding project for this album than the last, then actually what that means is a) it is probably sustainable and b) it is scalable. So, as I put more music out there, as I get to know more people and more people find my music, it means that hopefully more money will start coming in as it scales. If I can last out another year without heading back to IT work, then there is a good chance I will be doing it for the rest of my years. When I say ‘rest of my years’ you never retire from music really do you? DB: It is not quite the same as a normal ‘working for The Man’ type job is it? MS: No it really is not! I must admit, I am doing far more hours doing this than I ever did at work but there is a load of variety in there, and because it is what I’m passionate about, it does not exhaust me. If you work really, really hard at something you love it is energising. I honestly feel I am doing what I am meant to be doing and I sincerely hope that the risk pays off and that I can continue to do it full-time. I feel like I am making more of a difference than I did in IT. I know how much music has affected me over the years and just how much difference it has made to my life, and the thought that I can do a fraction of that for somebody else is incredibly fulfilling. I doubt I will ever be on the kind of salary that I was when I was in IT – but actually…does it matter? It is more important to do what you love and to make a difference than it is to pile up a load of money, or to get a yacht or something. DB: The next thing I want to ask you, because music is a combination of a job and a passion or a hobby do you have any other ‘hobbies’ and if so, do those ever feed into your music? MS: I do have other hobbies. I do a lot of sports. Most of my sports are martial arts based and I cycle through them really. Over the years I have done a lot of: karate, Brazilian Jiu-Jitsu and stick-fighting to European and World level. Currently my main martial art is freestyle wrestling and I am really enjoying that. My boy wanted to do that and I thought he would probably quit after about three months but he has stuck it for five years! I have been doing it with him and I thoroughly enjoy it. Brilliant fun! My other one is powerlifting. I am actually doing the lifting as my main sport now, and I would not say I am World level or anything like that but I thoroughly enjoy it and I am getting better at it. I love to read, although I must admit I do not have as much time for reading as I used to. I love to listen to music but again, I do not listen to as much music as I used to. That sounds awful for a musician. If you think, ‘I’ve got a spare hour.’ Do you listen to a record or do you go and make some music? Most of the time I’ll make some music. I used to drive to work each day, so I had that time every morning and every evening – I would put on a record, I would probably get through a CD each day – and that was a wonderful listening time, no distractions. I work from home now and I do not really have that time. DB: We have talked a bit about the new album that is coming out ‘Theory of Ruins’ but is there anything else you wanted to mention about it, like the artwork for instance, for the cover? MS: I will just talk through a few things… “The Theory of Ruins” is a bit of a strange title and I came across that phrase on Facebook. Basically someone had posted up their holiday snaps of some ruins. There was some really good camerawork – and underneath they had written ‘Theory of Ruins’. I loved these photographs and I just thought, ‘What on earth is the Theory of Ruins?’ So I looked it up. It is basically the concept that, when you design a building, an architect should not just look at designing it so that it looks great during its lifetime but as the years go on, as it starts to crumble, it should leave ruins that are pleasing to the eye and last for thousands of years. It should be about leaving a legacy of a building behind as well as just having a pretty building while people are using it. I just figured that it is something that you can apply to your life as well, not just buildings. And this links into Martyn Joseph’s ‘hope’ thing as well. It also links in, I guess, subconsciously to me leaving work and trying to make a go of it with the music. I just really felt that it is not about your big TV or how much money you have got in the bank, it is not about those things – no one is going to care about those when you have gone, when they look back, and be impressed by those – the interactions you have with other people, the way you make people feel, the lives that you touch while you are around, that is the most important thing. It is more fulfilling when you are living as well, but if you want to leave something behind, your fingerprints are on other people’s lives, not on your bank account. The first song “Theory of Ruins” is pretty much that in lyric form. It is one of those songs that is really quite black and white and I love it: it has got quotes from Ecclesiastes in there from the Bible, it has got a bit from the poem about Ozymandias by Shelley. I have tried to tie it together with those writings from ancient to not quite so ancient because those are almost the ‘ruins’ left behind from those things. You are probably going to look at some of those lyrics and think that they are depressing but actually it is not, there is hope in there, there is a ‘this is what we should do’ element to it. I have tried to bring that through the rest of the album. The front cover has got Old John on there, which is that ruin at the top of Bradgate Park in Leicestershire. My friend Nick Tsiatinis has done photography for me again, so that is great. He is a very, very good photographer. The other instrumental is called “Jane Grey”, after Lady Jane Grey who actually lived in Bradgate Park. There are all sorts of other things including the one about the Seven Wonders of the World which ties in really nicely with the way the lyrics work with that. There is a hope that I am trying to get through on there. Then there are songs from people I have met. There is a lovely song about a girl I met who had a heart transplant three years ago – absolutely fascinating, wonderful lady. I just had to write a song about her experiences; I am only really writing about the picture I have in my head that I have after talking to her, so it may not, to her, even be noticeably her life. I would not go so far as to say that it is a concept album, each track is not about the same thing, but you have got the same themes going round my head while I was writing all the songs, so it is slightly more coherent. MS: Music is really, really important! You can live without music, just like you can live without a sense of taste or something like that, you can live perfectly well without it but I think it would be a very grey land that you lived in. For me there are lots of wonderful things about music and I cannot go into them all but the thing for me is…music allows me to express myself in ways I could not do normally. Certainly, being British, we do not talk about our emotions a huge amount and it just does not come up in conversation very much at all, but when you are writing music – it may not be things about your life that you are going through but your emotions are coming out there – it is an outlet for your emotions that you would not normally have and I think that, for me, is very therapeutic. I have felt a lot happier as a person since I have been writing songs. I would also say that other people’s music helps me to take my thoughts, my feelings, my emotions. You just have all this stuff swirling around in you and your heart and your head and most of the time you do not even want to think about it, especially when you are going through tough times and something bad has happened; you do not even know how to think about things, you just sit there in a daze almost. But for me, I can listen to a track, forget about my problems or what I am thinking about. It is a bit like dreaming: when you dream, they say that it takes what you have done doing the day, processes it for you, helps store that, get your head round it. Music does that for me: it helps me process my feelings, my thoughts, my emotions, my experiences – subconsciously – it sorts those out and files them for me. We had a family bereavement a while back which was really tough, and listening to Gretchen Peters’ music really, really helped me so much. It took me away from what I was thinking about, though it was still there in the background. It just – I did not know what I was feeling or thinking or how to process any of these things that were happening – sorted them out in my head for me. It did not make it any less hard but it made me understand what I was feeling; it helps me so much from that point of view. It does things to you emotionally and in your head, and you do not even know what they are, but it is healing and it is helping and it is a wonderful thing. I know of nothing else that could have done that for me. DB: No because it does not really work on the conscious part of your brain a lot of the time does it. And it works on so many different areas of your brain, so I think because it relaxes you; a bit like where you were saying about doing that instrumental, where you just did it and you improved it and because you were relaxed it literally came as a creative flow thing – you were not consciously thinking of what you wanted to do. MS: Exactly, if someone had said, ‘I’m recording this and I’m going to play it to everybody,’ I would never have done it! It was because I knew that no one was ever going to hear it…. DB: And music has a healing ability. MS: It does. It is a wonderful thing. DB: Many, many years ago (more years ago than I care to remember) I went to Bradgate Park for an anniversary pageant about Lady Jane Grey and I am really looking forward to hearing those two tracks on the album in particular. Thank you very much! It was really, really nice talking to you Matt. MS: I love the interviews you guys do. I am so grateful to you both. For someone who is really an introvert, I really can get talking when I try. (Both laugh). 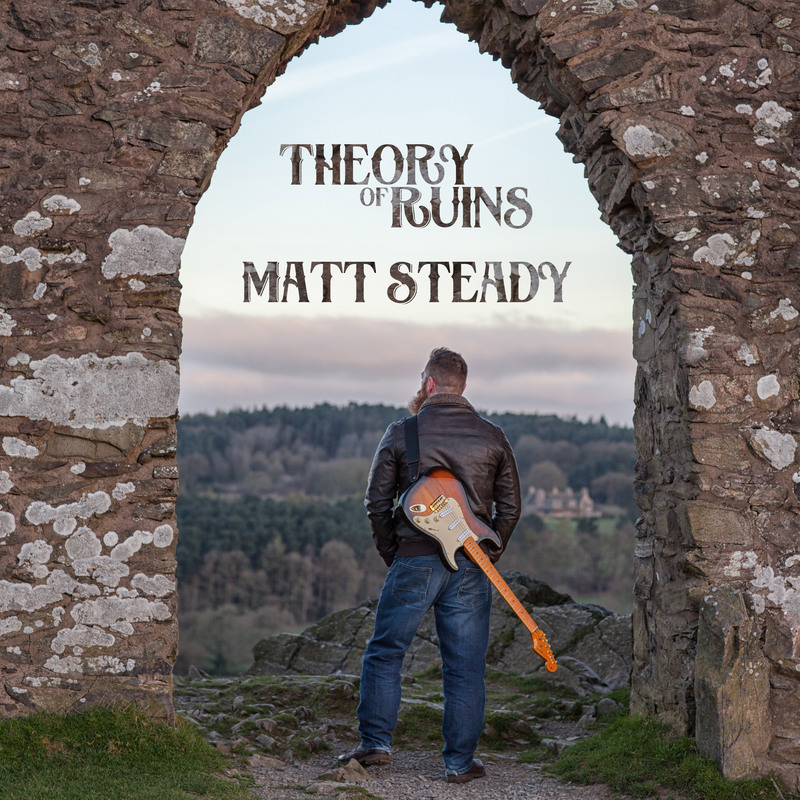 Here is a handy link to the crowdfunding campaign for Matt’s upcoming album “The Theory of Ruins”. You can become involved directly in making it a reality. [Update: since this interview Matt has released ‘Theory Of Ruins’ and has set up his own Patreon channel. He has also produced a new album, ‘There Be Dragons’, which is available to pre-order on his website along with other related goodies].